Structures is an architectural building set that requires no glue or connectors! Simply stack the precision pine planks to create ornate buildings, monuments & geometric forms. 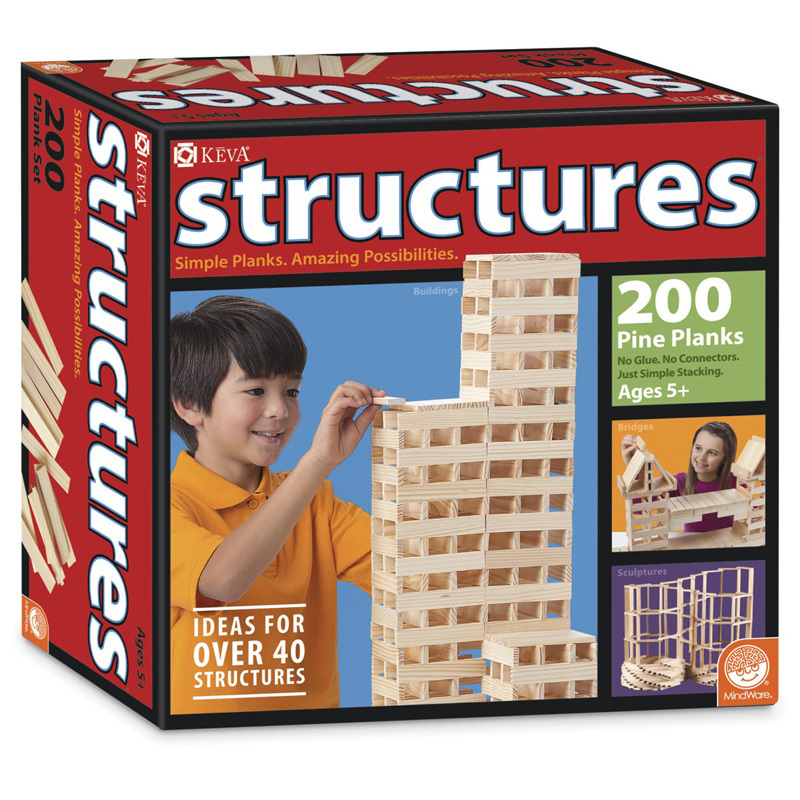 Helps kids gain ann understanding of balance, proportion, architecture, building & design.